(by Thomas Sowell, February 4, 2017) – In just a matter of days — perhaps next Monday — a decision will be made in Washington affecting the futures of millions of children in low-income communities, and in the very troubled area of race relations in America. An opportunity has arisen — belatedly — that may not come again in this generation. That is an opportunity to greatly expand the kinds of schools that have successfully educated, to a high level, inner-city youngsters whom the great bulk of public schools fail to educate to even minimally adequate levels. What may seem on the surface to be merely a matter of whether the U.S. Senate confirms or rejects the nomination of Betsy DeVos to be head of the U.S. Department of Education involves far bigger stakes. The teachers’ unions and the education establishment in general know how big those stakes are, and have mounted an all-out smear campaign to prevent her from being confirmed. She has, for more than 20 years, been promoting programs, laws and policies that enable parents to choose which schools their children will attend — whether these are charter schools, voucher schools or parochial schools. Some of these charter schools — especially those in the chain of the Success Academy schools and the chain of the KIPP (Knowledge Is Power Program) schools — operate in low-income, minority neighborhoods in the inner-cities, and turn out graduates who can match the educational performances of students in affluent suburbs. What is even more remarkable, these charter schools are often housed in the very same buildings, in the very same ghettoes, where students in the regular public schools fail to learn even the basics in English or math. You and I may think this is great. But, to the teachers’ unions, such charter schools are a major threat to their members’ jobs — and ultimately to the unions’ power or existence. If parents have a choice of where to send their children, many of those parents are not likely to send them to failing public schools, when there are alternative schools available that equip those youngsters with an education that can open the way to a far better future for them. Already there are tens of thousands of children on waiting lists to get into charter schools, just in New York alone. Those waiting lists are a clear threat to teachers’ unions, whose leaders think schools exist to provide guaranteed jobs for their members. Mrs. DeVos has shown for more than 20 years that she thinks schools exist to educate children. One of the biggest complaints about her is that, unlike Secretaries of Education before her, she does not come out of the government’s education establishment. Considering what a miserable job that establishment has done, especially in inner-city schools, her independence is a plus. Teachers’ unions have fought for years to prevent charter schools from being created. Now that such schools have been created, and there are now huge waiting lists, the teachers’ unions have gotten politicians to put a numerical cap on the number of such schools, regardless of how large the waiting lists are. Desperate attempts to smear Betsy DeVos, in order to prevent her from being confirmed as Secretary of Education, have not let the facts get in the way. She is accused of “steering public dollars away from traditional public schools.” But nobody can steer anything anywhere, when it is individual parents who make the decisions as to where they want their children educated. The money follows the children. Neither the money nor the children get steered by education bureaucrats, as happens with traditional public schools. If charter schools educate one-third of the students in a district, and get one-third of the money, how does that reduce the amount of money per child in the public school? Actually, charter schools usually get less money per student, but produce better results. American education is at a crossroads. If the teachers’ unions and their allies can defeat the nomination of Mrs. DeVos, and the Republicans substitute someone else more acceptable to the education establishment, a historic opportunity will be lost, and may never come again in this generation. Thomas Sowell is a senior fellow at the Hoover Institution, Stanford University and the author of “Basic Economics,” ”Applied Economics” and “The Housing Boom and Bust.” Over the past three decades, Dr. Sowell has taught economics at various colleges and universities, including Cornell, Amherst, and the University of California at Los Angeles. His personal website is tsowell.com. 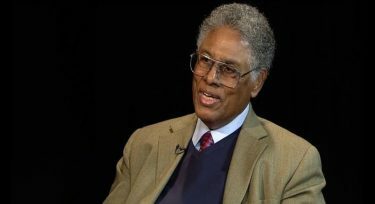 (by Thomas Sowell, February 7, 2017) – One of the painful realities of our time is that most public schools in most low-income, inner-city neighborhoods produce educational outcomes that are far below the outcomes in other neighborhoods and especially in more affluent neighborhoods. Attempts to assign blame are too numerous to name, much less explore. But as someone who has, for more than 40 years, been researching those particular minority schools that have been successful, I am struck both by their success and by how varied are the ways that success has been achieved. In doing research for a 1976 article, “Patterns of Black Excellence,” I discovered that the educational methods used to educate low-income, minority children in successful schools ranged from very traditional and strict methods in some parochial schools to very different approaches in other schools. One of the most successful schools I visited was in an aging building in a rundown ghetto neighborhood in New York, where a friend told me that I was “brave” — he meant foolhardy — to park a car. Instead of being given a guided tour of the school, as happens in too many other places, the principal simply walked with me down the corridors on each floor and let me decide which classroom door I wanted to open and go in. Wherever we went in, the class in progress was clearly one where children were learning, were well-behaved, and were saying intelligent things in plain English. They were doing work that was either at their grade level or somewhat above their grade level. Yet most of these kids looked like kids you can see in any ghetto across the country. Most were from families whose incomes were low enough for their children to qualify for free or subsidized lunches in school. After a day spent observing the classes and later examining the statistics on their outstanding performances on various tests, I was moved to the verge of tears as I left. Why couldn’t this be done in many other schools? One reason was that this principal did not follow the rigid dogmas imposed by the educational establishment but used whatever ways of teaching produced good results. That makes waves. There were attempts to get him removed as principal. Nor was he the only successful educator to come under fire from the educational establishment. In California, high school teacher Jaime Escalante taught calculus so successfully in a predominantly Latino school that, at one time, something like one-fourth of all Latino students who passed the AP Calculus test — in the entire country — came from the school where he taught. Like other highly successful educators, especially in places where failure is the norm, Escalante was controversial within the education establishment. The teachers’ union demanded that his large math class be reduced in size. He ended up leaving that high school to go teach elsewhere. When Marva Collins was a public school teacher who came to work early to help some of her students and who used teaching methods that differed from what education schools and education bureaucrats prescribed. She, likewise, came under fire. She left and created her own school in a Chicago black neighborhood. This was done with little money and initially with old textbooks discarded by the public school system. Her success was striking enough for her to be offered an opportunity to be nominated to be Secretary of Education. After much soul-searching, Marva Collins declined the offer. It was probably just as well. She could run her own school in Chicago as she wished. In Washington, the political jungle was another story. Against this background, it is hardly surprising that Betsy DeVos, who has for more than 20 years been promoting parental choice in the schools her children attend, has come under heavy fire from the educational establishment. If she becomes Secretary of Education, the stranglehold of the teachers’ unions and the educational bureaucracy on the education of millions of students will be in jeopardy. If her nomination is rejected, millions of children from low-income, inner-city families will lose a chance to escape a painfully failing system. Thomas Sowell is a senior fellow at the Hoover Institution, Stanford University. His personal website is tsowell.com.